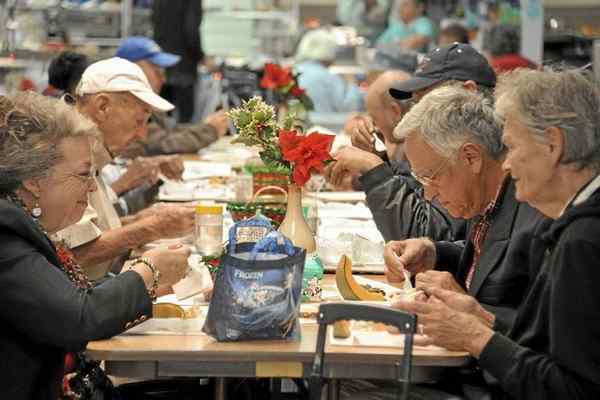 Early each morning, hundreds of low-income seniors line up at Serving Seniors’ Gary and Mary West Senior Wellness Center in downtown San Diego, waiting for a warm breakfast or lunch — a free or low-cost meal that will help them survive. Many here are regulars, with clear friendships and cliques, happy smiles and strong social networks. A quick look at the profile of poor California seniors shows too clearly that, sadly, these seniors are not alone in needing nutritional support. In fact, 1.1 million of the state’s seniors are threatened by hunger, part of the more than 10 million American adults who may go hungry every day. With 1,000 California seniors turning 65 a day, we can’t keep our poor older residents waiting and must ensure that those in need of meal services receive them. Guaranteeing our seniors access to proper nutrition should be a national priority, and increasing federal funding for the kinds of programs that offer both community center and home-delivered meals for seniors is the way to do it. < PLEASE READ THE FULL OPINION IN LOS ANGELES DAILY NEWS.